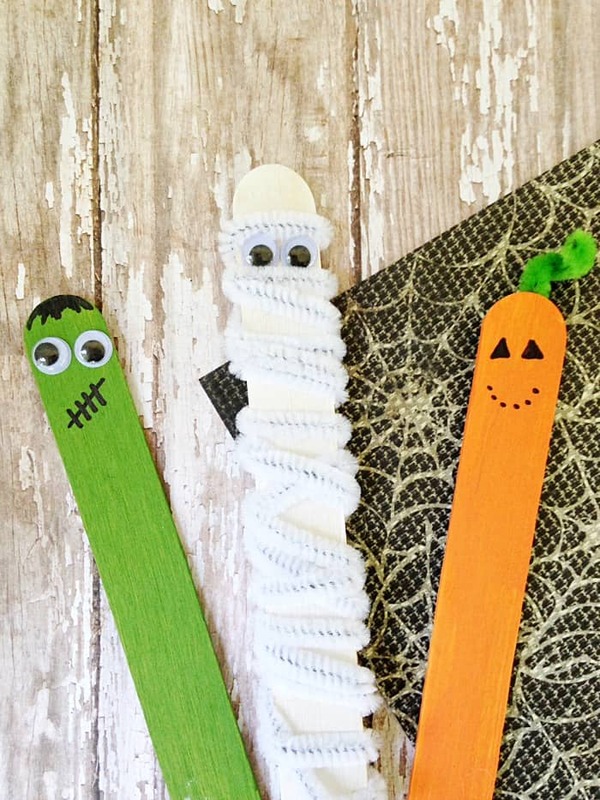 This Halloween craft idea is perfect for children of all ages! 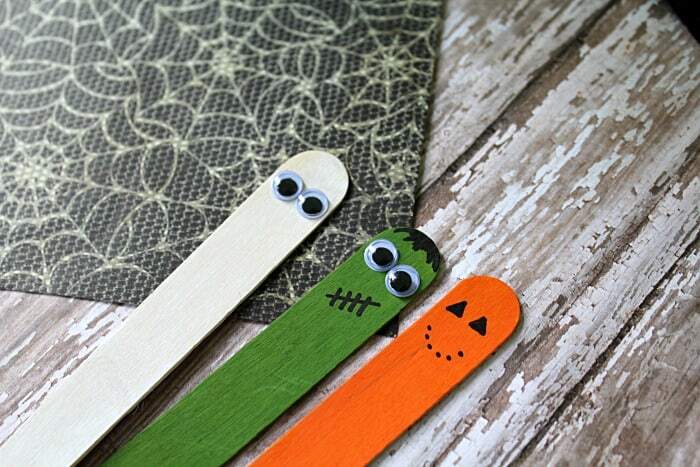 With only a few supplies needed, you and your child can create these fun Halloween Stick Puppets for hours of fun playtime. 1. 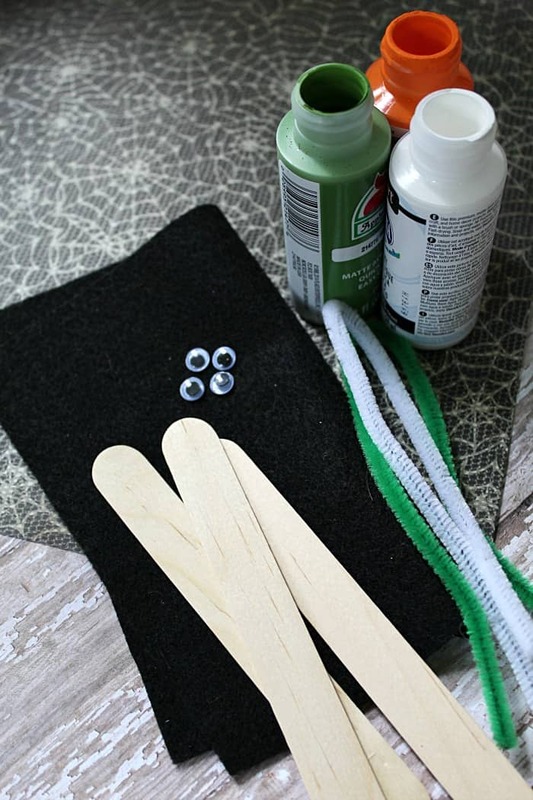 Begin by applying two coats of paint to each craft stick. 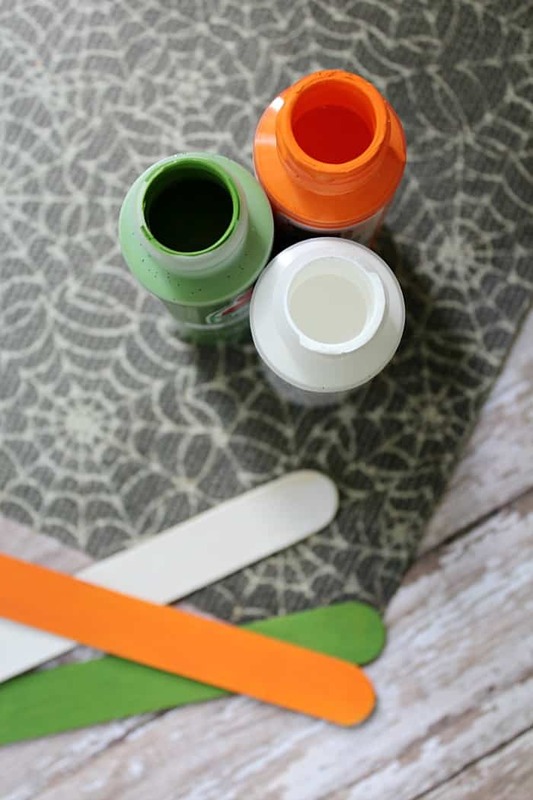 You want to create an orange, green, and white craft stick. Allow the paint to dry thoroughly. 2. Once the paint is dry, you can begin to assemble each character. FRANKENSTEIN : glue the googly eyes in place. Using the black marker, add the stitches and hair. PUMPKIN : use the black marker to draw on a pumpkin face and finish off by gluing a small piece of green pipe cleaner to the top of the stick. MUMMY : wrap the stick in white pipe cleaners to look like wrappings. Add a pair of googly eyes so it is peeking out of the dressings. 3. 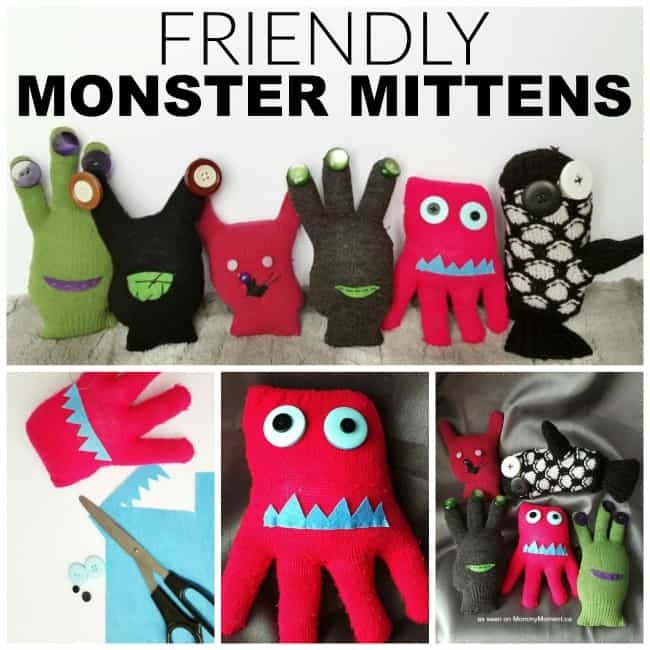 Your HALLOWEEN STICK PUPPETS are now ready to be enjoyed! Ok these are seriously cute. I think I like the mummy best, but I love how you’ve done the minimalistic Frankenstein and jack-o-lantern mouths. Very nice craft idea!